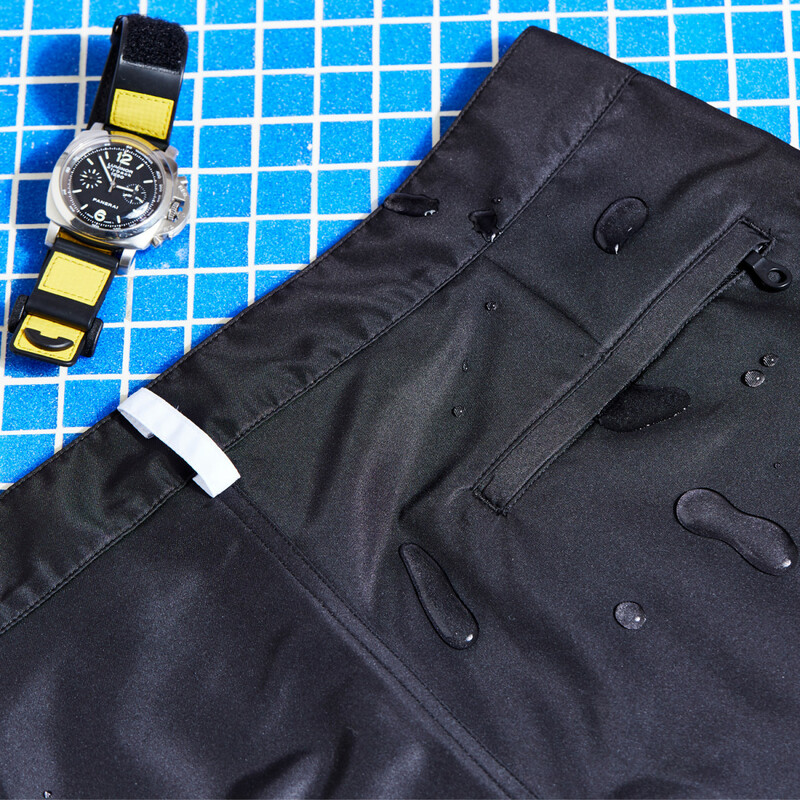 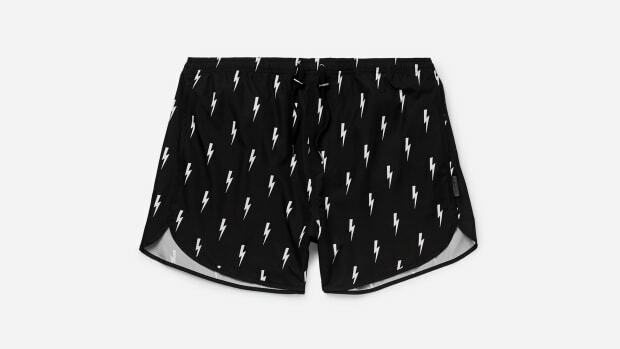 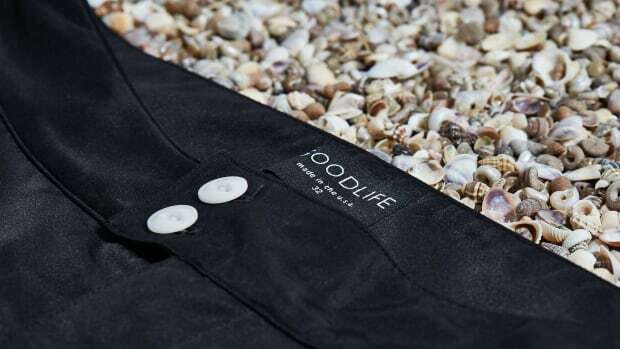 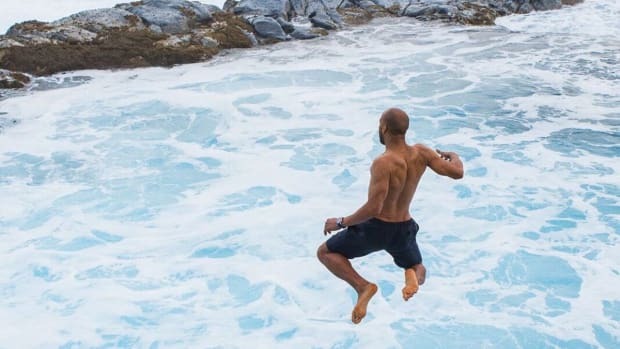 Goodlife is known for their perfect-fitting tee shirts but their swim trunks are just as exceptional. 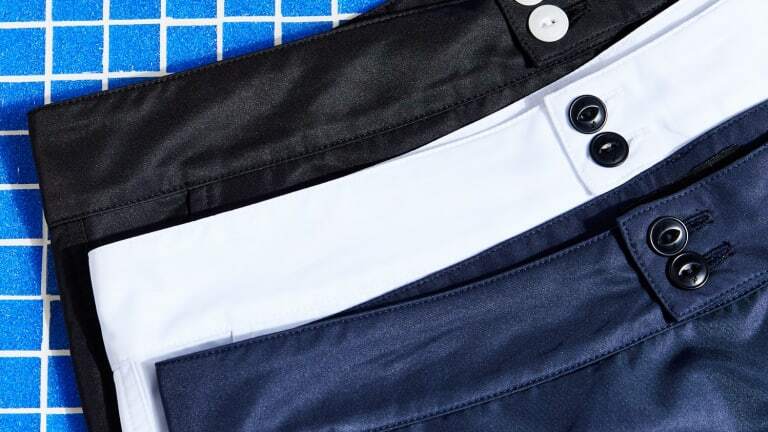 Cut from a quick dry nylon that has been sewn with two layers of fabric for increased durability, these feature a well-tailored look that's slim but extremely flattering thanks to how they sit on the waist. 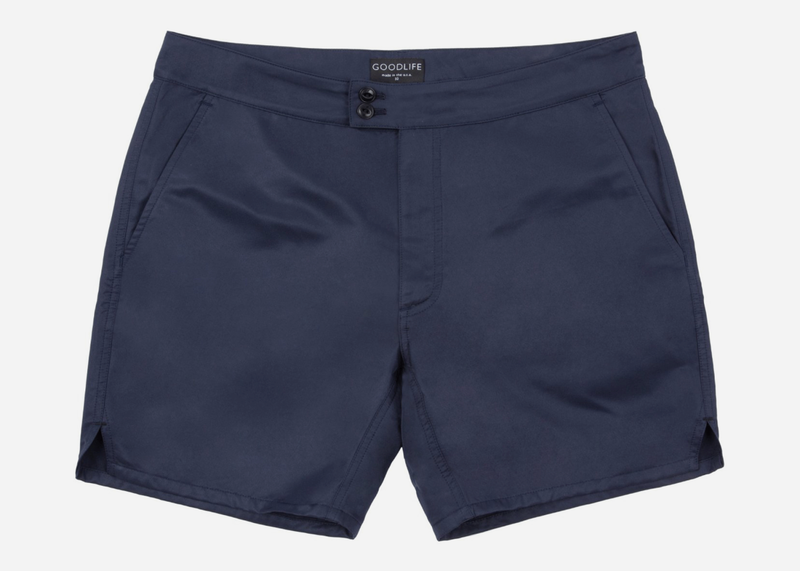 They're dosed in extremely luxe details like custom Italian corozo buttons and a matte zipper, both in black, which look especially cool against the navy option (above).